Dental Aid provides comprehensive, reduced-fee oral health care (about half the usual and customary fees charged by private dentists in our area). 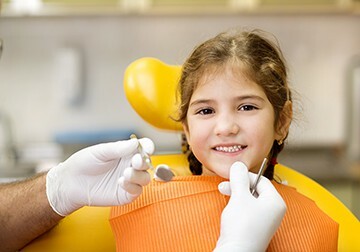 Dental Aid accepts Medicaid and Child Health Plan Plus (CHP+) and cash payment, but also has funds to help subsidize care for individuals not covered under Medicaid or CHP+ who cannot afford our reduced fees. Dental Aid does not currently accept private insurance, but is an enrollment site for Medicaid and CHP+. Payment is due at the time of service. Services available in Spanish, translation services for other languages also available. Dental Aid serves low-income and uninsured residents of the Front Range. Dental Aid provides oral health care for individuals identified as high-risk for oral health complications including pregnant women, persons with diabetes, persons with heart disease, and individuals living with HIV/AIDS. Dental Aid has programs which provide services both in clinics and in non-clinic community settings. In 2016, we provided comprehensive dental care for 7,777 individuals. Our Community Base Hygiene Programs provide children, adolescents and adults with diagnostic and preventive oral health services in non-clinic settings such as schools and community centers. A registered dental hygienist using portable equipment provides oral health education, screenings, fluoride vanish, cleanings, sealants, diagnosis, radiographs and interim therapeutic restorations. In 2016 our teledentistry program provided services to 979 students in public school settings and over 100 adults received services in community locations including the Mental Health Partners Ryan Wellness Center. These programs are expanding to include additional locations in 2017. Marcie’s Fund for Uninsured Children exists in order to provide subsidized oral health care and education for children and youth, ages 0 to 20, who would otherwise not be able to receive the care they need. This program provides care for uninsured, low-income children who are not eligible for Medicaid or Child Health Plan Plus (CHP+) at the time of service. We believe that Marcie’s Fund is a critical component in Dental Aid’s effort to reduce or eliminate the need for extensive future care. Marcie’s Fund is a unique program because it addresses oral disease through early intervention and education. In order to increase effectiveness, Dental Aid works with both parents and children to emphasize the benefits of good oral health care and nutrition. We believe that Marcie’s Fund is a critical component in Dental Aid’s effort to reduce or eliminate the need for extensive future care. Marcie’s Fund is a unique program because it addresses oral disease through early intervention and education. 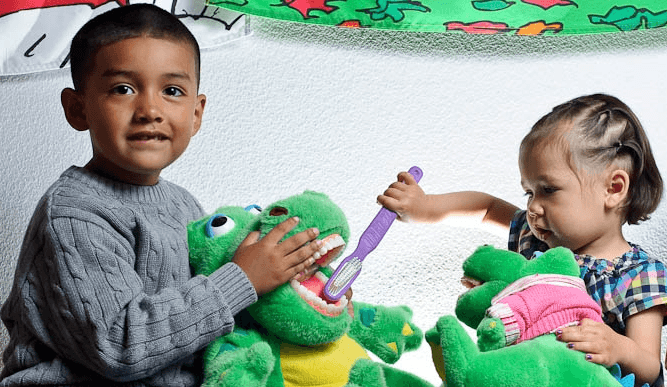 In order to increase effectiveness, Dental Aid works with both parents and children to emphasize the benefits of good oral health care and nutrition. In 2016, Dental Aid provided care for up to 418 low-income children using Marcie’s Fund. Adult Assured Access provides outreach, oral health education, and comprehensive dental care for uninsured residents of our community. Dental Aid is the primary provider of comprehensive oral health care in the safety-net system operating in Boulder County. The average treatment plan for an adult patient at Dental Aid is $1,400. On average, Adult Assured Access subsidizes $230 of treatment costs for uninsured patients. Dental Aid fees are approximately 50% of the usual and customary fees for private dentists in our region. Program funding allows patients to complete treatment plans without financial barriers and changes patients’ attitudes toward dentistry; patients learn that oral health care is not an unaffordable luxury, and by improving oral health behaviors and scheduling routine preventive visits, they can break the cycle of episodic care. Dental Aid believes that by expanding our capacity to provide care to uninsured, high-risk adults, not only will we be establishing a culture of oral health where one may not have previously existed, but we will actually save the community the future financial burden of emergency room visits incurred when routine oral health care is unavailable, unaffordable, or simply unknown to the low-income population. In 2016, we subsidized care for 225 patients in the Adult Assured Access program. • Seniors (Age 60+) who are enrolled in Medicaid OR Old Age Pension. • Seniors enrolled in Medicaid long-term care programs are NOT eligible. • Participants cannot receive Medicaid dental benefits if receiving OAP Dental Assistance. • When applicable, patient must pay co-pay to receive OAP funding. Each year on the first Friday in February, thousands of the nation’s dentists (including Dental Aid) and their dental team members provide free oral health care services to uninsured children from across the country as part of the Give Kids A Smile program. Dental Aid partners with other local dental providers – referring children and teens to orthodontics, endodontists, and other dental specialists for free care during Give Kids A Smile. The American Dental Association’s Give Kids A Smile program enhances the oral health of large numbers of needy children. Give Kids A Smile activities also highlight for policy makers the ongoing challenges that low-income families face in finding dental care.